Looking for a gift for the tween or teen girl in your life? 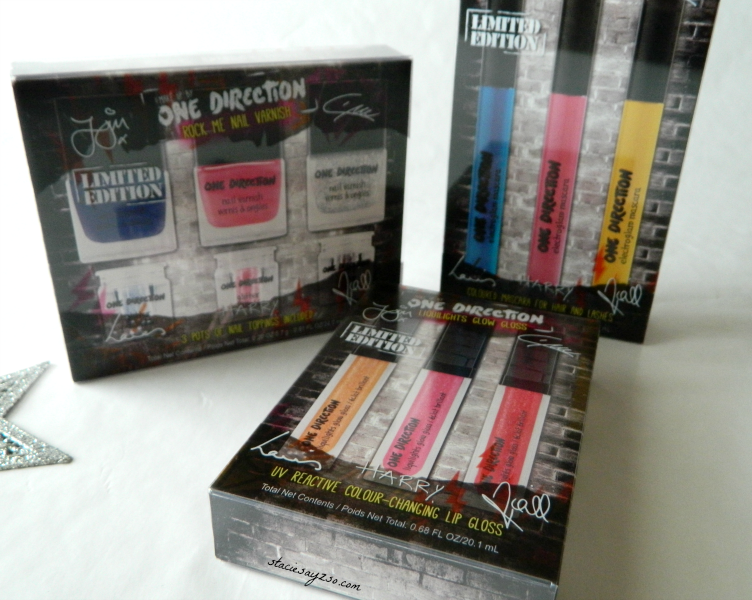 One Direction has another limited edition make up collection. This one features make up sets that include nail polish, lip gloss, and mascara. 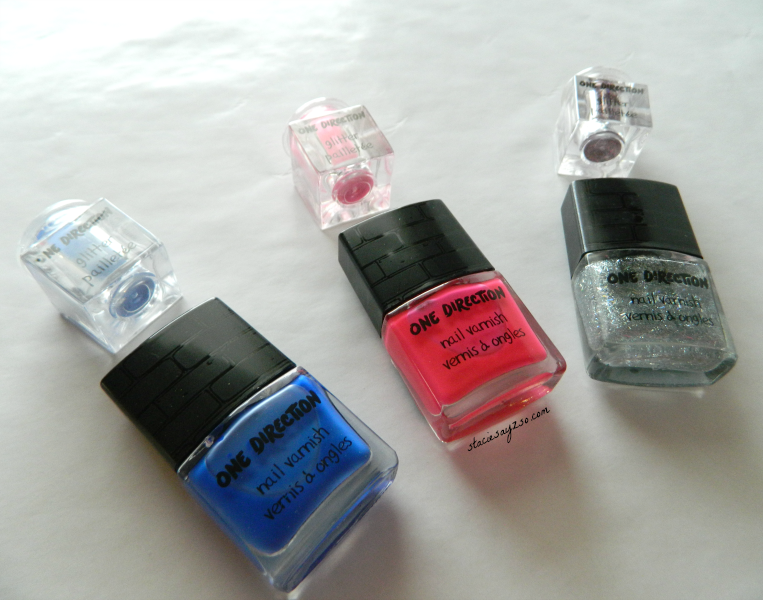 See my last review of One Direction makeup here. I received samples for my review. 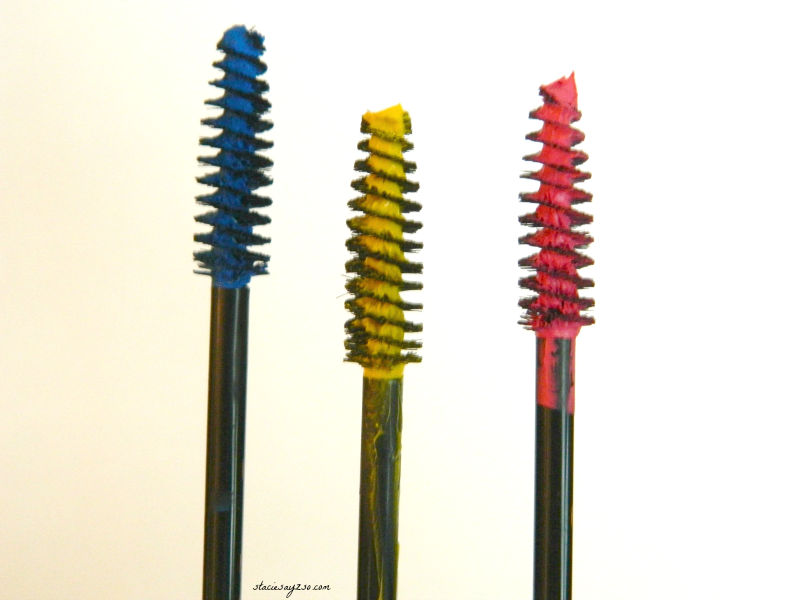 The Electroglam Mascara for lashes and hair, come in three bright colors. "Does He Know" Pink, "Why Don't We Go There" Blue, and "Story Of My Life" Yellow. 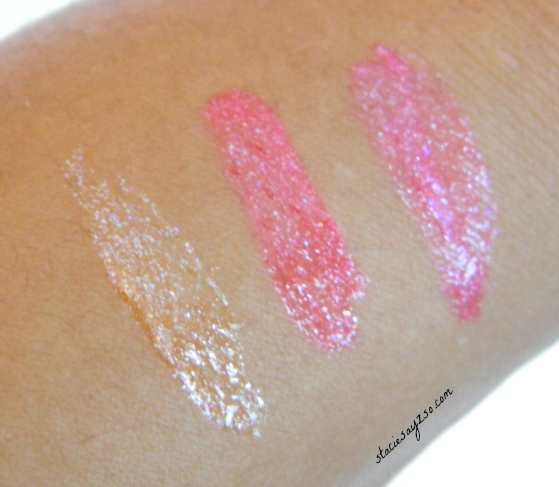 Liquilights Glow Gloss sparkles during the day and illuminates under UV black light at night. 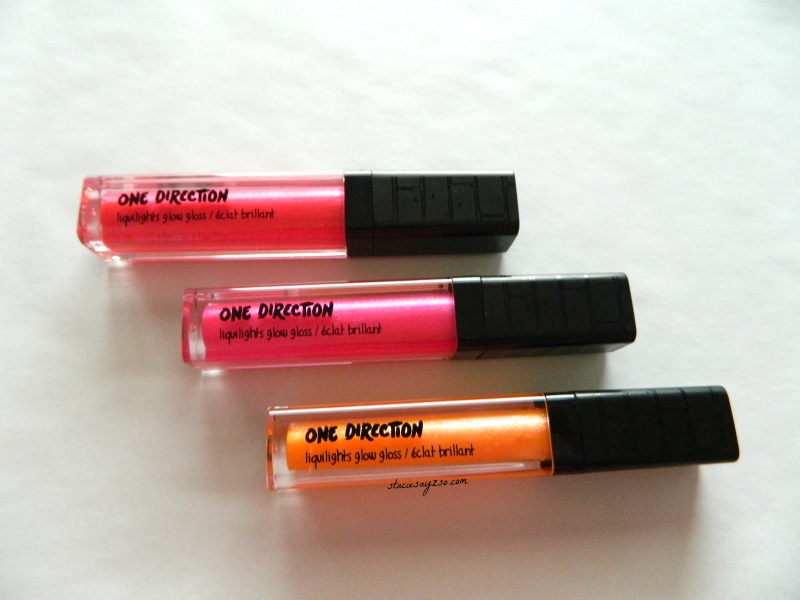 Through the Dark- Poppy, Kiss You- Orange, Taken- Pink, all seen above. The Rock Me nail kit is UV reactive and has glitter that you can either sprinkle on or dip your entire nail into. I like how pigmented everything is! There's a few items that I plan to keep for myself. ;) But I will say that the polish is a bit too sheer to be worn by itself. But when you add the glitter it gives that nail caviar kind of look. 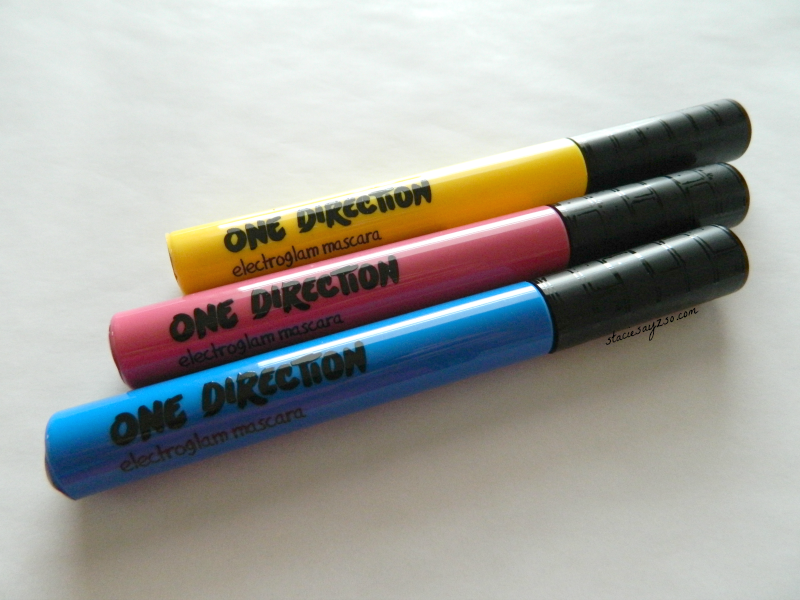 Makeup by One Direction can be found at the following stores. Macy's, Dillards, Boscov's, Stage Stores, Beauty Brands, and Lord & Taylor. To learn more, visit One Direction Makeup on facebook. Fans can also enter the their giveaway here! What do you think of the limited edition sets? Very cute. Love that look for a playful, casual outfit. Great review. I've actually not heard of them before. It's not bad, but I have a lot of other glitters that I like more. I think this makeup set would work great this holiday season since it is bold and full of shimmer. I know a lot of teen girls would love this set! Right! Heck, I know a few adults that would like this. I like this set a lot. I love blue mascara and can't wait to try out the pink. Fun! I personally like the blue mascara. My eyelashes are dark, but when you catch a side view of my lashes with the electric blue it is awesome. I think blue shows up well on dark lashes. Especially if it's highly pigmented. My daughter would like this too.